This post is part 2 in a 3 part series. You can read the first part of my Girls Can Farm Too series here. The above quote makes me wonder, were these women actively involved in agriculture when they were younger? During their most influential ages? 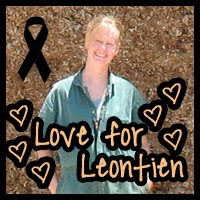 I often ask myself if the love for farming is an inherited trait or something that is learned. 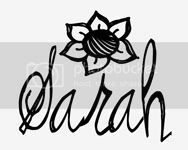 Is it something that will be passed down from my husband and me to our daughters or is it something that they will learn from working beside us? 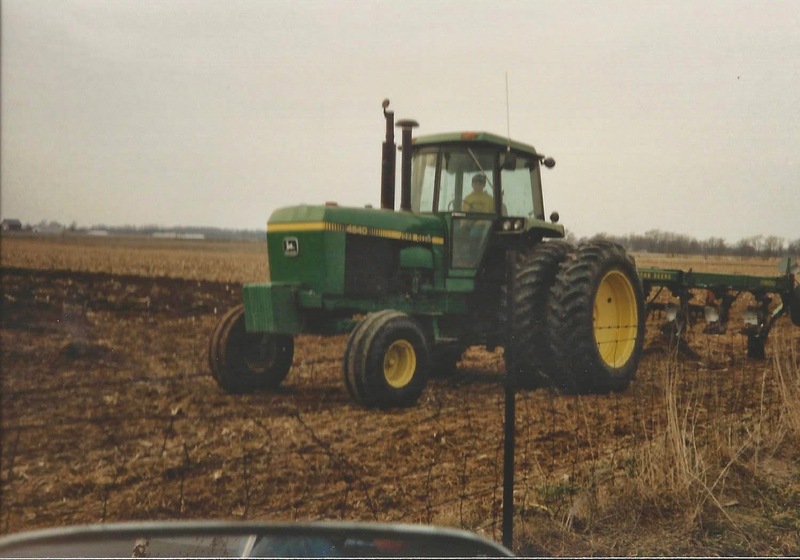 Brad started going to the farm with his dad at around 2 years old. He drove a tractor all by himself at 3! This isn't the best picture and he is probably around 9 or so, but it's all I have at the moment. And that is why I wonder if it is inherited or learned. 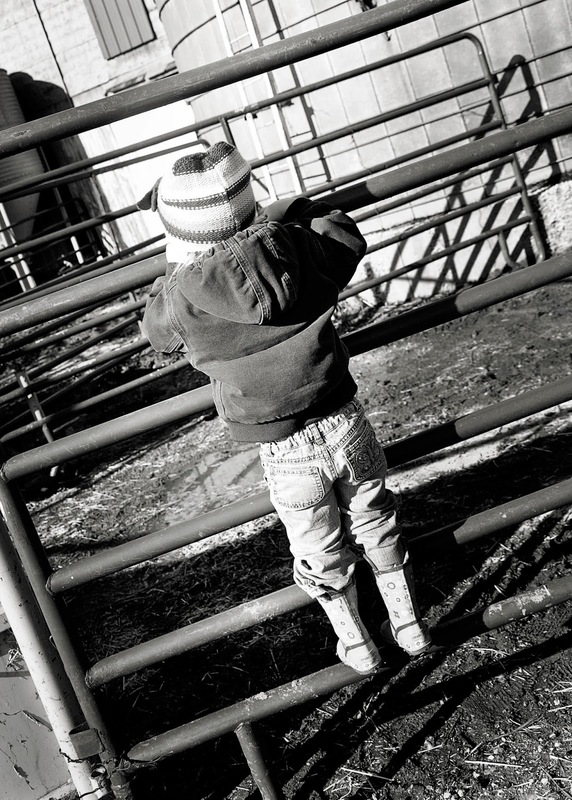 Are the things we experienced when we were younger what developed our love for farming? 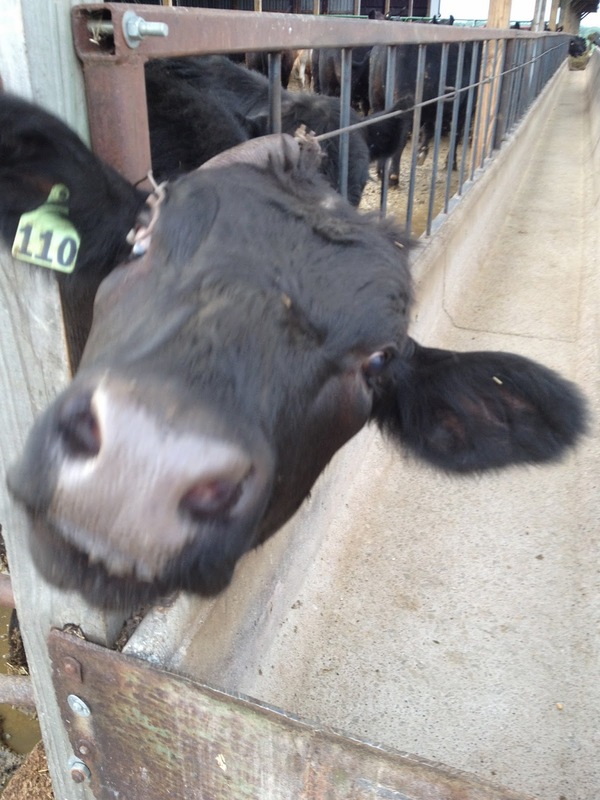 We live on a beef and grain farm and currently feed about 150 head of beef cattle. 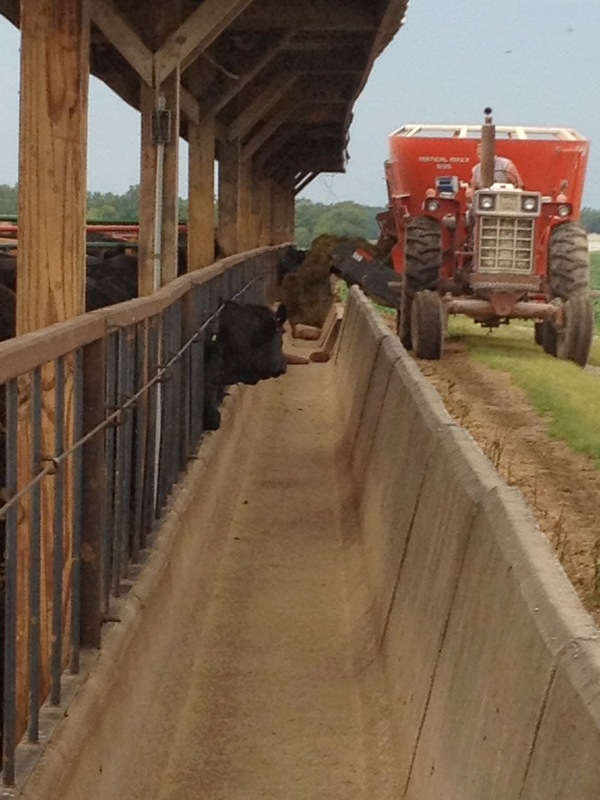 The process of our feeding is a little to "complex" for our 8, 5, and 1 year olds. We try to keep the girls involved in the farm life as much as we can by letting them be involved in "rookie" 4-h. Last year they had pigs, this year we are trying dairy. 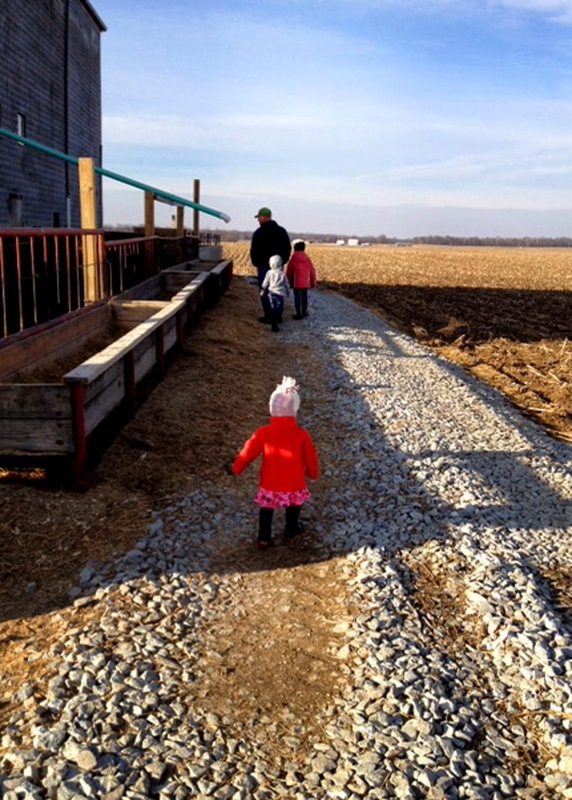 We attempt to keep them aware of the day-to-day happenings on the farm. 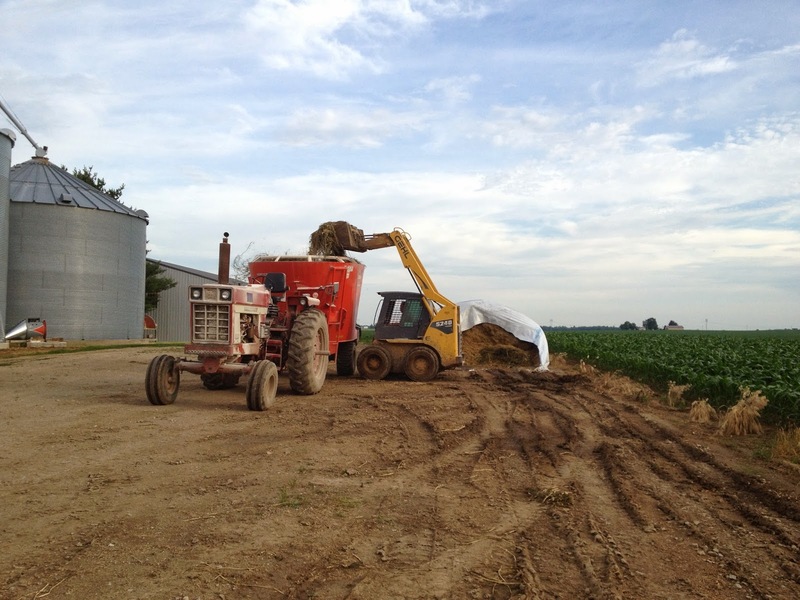 The drought of 2012 took a toll on many farmers including us. We explained to the girls what was going on and why it affected us. We didn't want to scare them, but rather want them to better understand why we work so hard for what we have. Sometimes I wish I could look into a glass ball and see the future of farming. It's such a scary world out there and farming seems to be the most vulnerable of professions and yet it is something that the world can't live without. 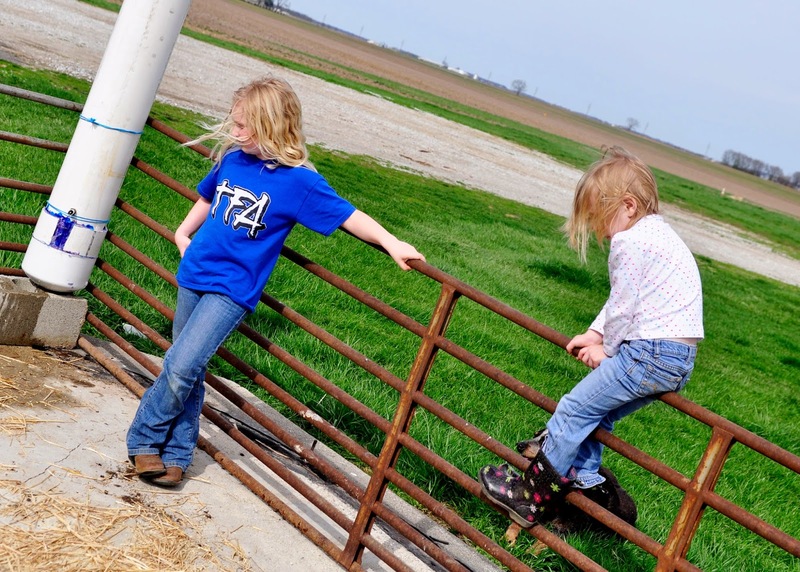 Sometimes it scares me to think about what the future of farming holds for our daughters. Maybe they won't physically farm, but instead will be advocates for agriculture that speak up for farmers on Capitol Hill. 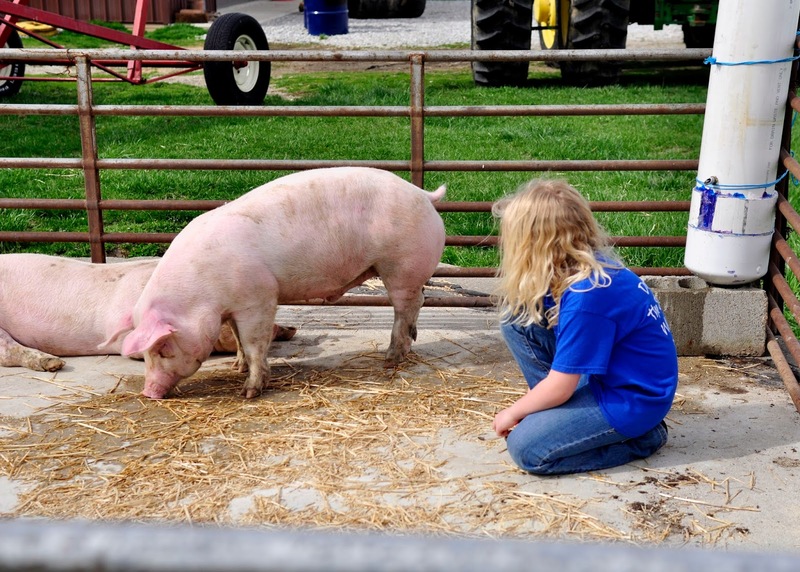 As much as we would love to see them inherit our love for the farm, we know that it may not always happen. 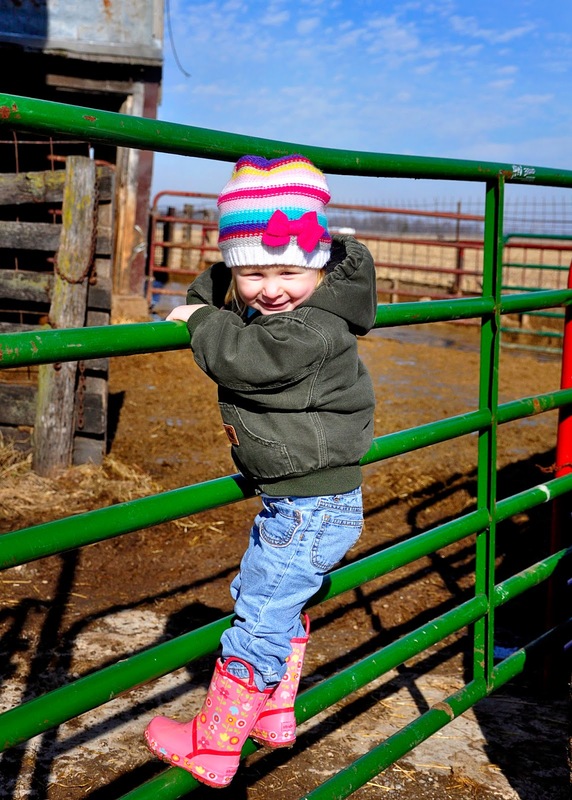 Whether they inherit the farming "gene" or not, we are trying to teach them the love for agriculture. 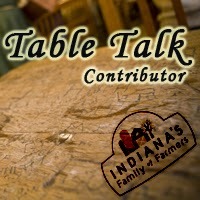 I am participating in Indiana's Family of Farmer's Table Talk. While I did receive a gift for this article, all opinions are mine. I wrote a long comment but maybe it didn't take? Not sure where it went. You ask a very good question that I have often ponder as well.. I think growing up around agriculture helps to develop that passion, but I still think it's something you're born with. I've watched most of the kids who grew up on the bigger farms in my home town leave the farm... and those who didn't grow up on a farm found careers in agriculture. It's a very interesting topic to think about.